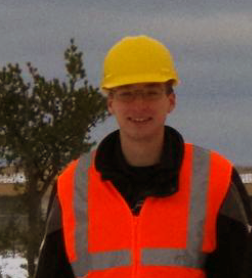 After graduating in April ’17, I accepted a job with the consulting firm I interned with the previous summer, Remprex LLC in their Engineering services department working with a few other MTU alumi. When I started Full time with them in June I have been doing a lot of construction management on various projects by myself and with other coworkers. Some of these included pavement replacement, and automated gate system installation. Part of the construction management entails monitoring contractor safety, quantity tracking, quality insurance and coordination via various channels.